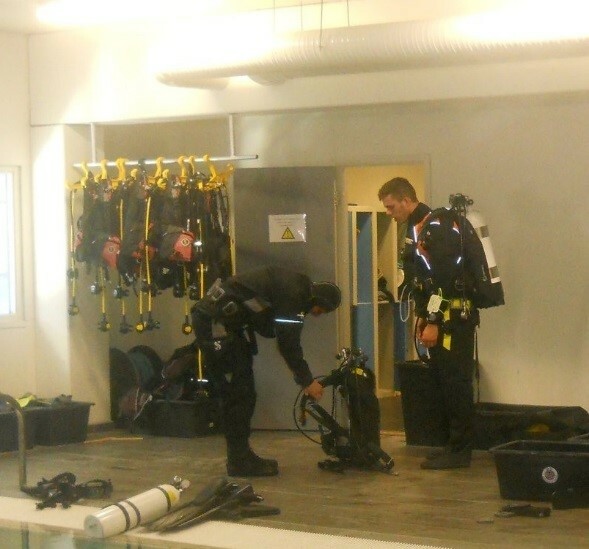 After working as an instructor for some time at the largest dive centre in Norway, I started seeking challenges outside the mainstream diving. 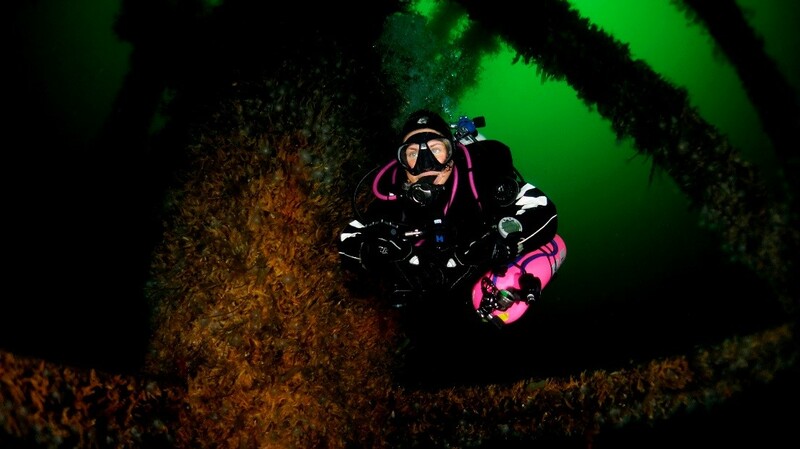 I already had a huge love for deep long dives so teaching technical diving was already planted in the back of my head. In the fall of 2010, I started looking at the different organisation providing technical training. There were a few to choose from and I bought materials from the ones I felt could match my preferences. In the end, I chose PADI TecRec. There were a few reasons for this but the main reason right there and then was to not have to incorporate another training organization in to the centre and have to buy separate PICs, material and such. In the dive community up here, no one had really heard of the TecRec programs so brand recognition other than the PADI brand would not help me to much, I thought. I had a meeting with the owner and manager of Nemo where I work. I started of by telling him that I wanted do work towards establishing technical diving courses at Nemo and that I was convinced that there was a good market for it at our centre. At the beginning of the meeting, he was more sceptical than I would have liked him to be and told me people had tried this before and it didn’t pay off. I asked him what they had done and under what flag they had been teaching. He referenced another training agency. I followed up with telling him I wanted to teach PADI’s programs and that I would start small and see where it took us. It was like turning on the happy switch. PADI does technical courses? Was the first question. I answered “there is some programs that look good and integrating them will provide a boost in continuing education as Nitrox, Deep and Rescue”. The mood had changed. “If PADI does tech I will support your effort to integrate it here. Good luck with your instructor course, ” he answered. I wanted to receive my training in similar or worse conditions that I would be teaching and I wanted to train with a Course Director who could really challenge me both in and out of the water. After calling, mailing and otherwise bothering more or less everyone who would speak tec with me for a few weeks I got in touch with Course Director Kjell Evensen at Masterdive in Denmark. When I was talking to Kjell he told me that we “COULD” do the course, but I had to be aware that the water was a bit cold in Denmark in March. I thought of our local dive spot and the 4degrees C it had to offer us and said “No problem I’m used to diving in cold water”. When I arrived at Masterdive in Helsigør Denmark the air temperature was -8c and there where “small icebergs” floating on the water. The nice little marina outside the dive shop was just a solid piece of ice. The first evening started off with a check dive in a pool to see how much work Kjell had in store for him during the next week “so I forgot about the ice on the waterfront” I quickly got to realize that I had a lot to learn in the pool and that our work was cut out for us. Second day of my Tec Deep Instructor course is one of my most memorable dives. Not because of a wreck or beautiful marine life (there were none) but because of the shear pain of learning what cold water really is. To this day I still remember looking at my computer at 12m and reading -3c. Cold water suddenly had a new meaning. After 8 days of diving up to 3 times a day, discussing theory and learning how a proper technical rig should look. I was done and had passed the instructor course. Now I was left with the question “how do I take all that I have learned and integrate it to fit our dive centres style?” It might sound like a cliché but I made my action plan more or less by following A Good Divers Main Objective Is To Live acronym and flipping back to my IDC notes and using the SWOT worksheet. There were a ton of tasks and I had to go at it more or less alone. Using my enthusiasm and my need to get some teaching experience I came up with an idea that would get me started and might, if done right, get me a lot of free promo. I told the rest of the staff at Nemo that I would do one Tec40 class for staff only with 4 spaces. The only cost it would give them was books, cert and gas (Provided they already had the equipment they needed). I am not one who usually votes for the option of working for free but I saw it as a future investment and a quick way to get some courses going. It took about 15min to fill the course. After the course, these instructors started talking about tec diving on the sales floor and to their students. 3 of the initial 4 signed directly up for a Tec45 class (if you are wondering, that was not free) these first students and colleagues became my ambassadors. Talking tec to people, I would not necessarily reach directly myself. We saw an increase in exactly the courses I mentioned to the centre manager Deep, Nitrox and Rescue which are all prerequisites for Tec courses. The second challenge I came upon while establishing the tec niche at Nemo was kit and gear. They did not stock the gear I wanted to teach in and recommend. Little by little, I got the manager to start stocking backplate systems, wings, regs that gave good hose routing and all the other bits that I was comfortable selling to my students. As I more or less pre sold equipment packages the managers felt the gear was flying out the door faster than they could stock it. This resulted in me getting a budget to play with to stock the store with the gear I needed. A group that quickly emerged from the increase of tec gear in stock was the “strivers”. This group want to use the same gear (*minus stages) as the tec guys but want to stay within the recreational limits. Never ever underestimate the strivers. These are your best customers and about 50% of them will enter technical training when they feel up to the challenge. These guys will also be sitting front and center when you do TecXplor or Discover Tec nights. I did my Trimix instructor more or less a year to the date from my Tec Deep instructor. One of the bestselling course bundles from there on (and it still tops the list) is what we ended up calling the Trimix 45 challenge. There is no magic and no hustle here. All I did was apply for the TMX 45/50 PADI Authored Distinctive instructor cert and bundled Tec 40,45 and TMX45. This gave me what I felt was a perfect start up for my students, 10 dives to get them sorted and in to good Tec diving habits but they are still using one stage and the possibility of accidently switching to the wrong gas is not there. As an added bonus, they get to use the Trimix lingo and dive safer dives utilizing helium to reduce narcosis. I usually motivate my students to get 10 dives after the TMX45 course before progressing to Tec50/tmx50 but remind them that as long as they meet the prerequisites for Tec50 this is just a recommendation. After using it, I found that tmx45 divers doing Tec50 dive 4 with the Trimix option was more prepared for the dive and we just did a quick review on the theory. Looking back one of the things I still feel I did right was taking it slow and taking an important piece of advice to heart. “Your reputation is your students not what you write on an internet forum or what people who don’t know you write about you”. I made a silent vow to myself the day I started teaching technical diving that I would not become an internet priest. Students and customers have asked me numerous times why I never defend my honour or reply in forums. It is just not worth it people. More or less every instructor out there posts his or her contact information so if someone has a real question it should be easy to e-mail or just call the instructor in question. 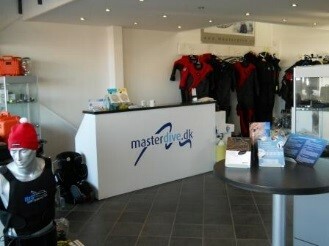 Should you have any questions for me I am available at rene@nemo.no Happy Diving!